We cannot live without water. But with 7.5 billion people competing for this single unevenly-distributed resource, the planet is drying up. 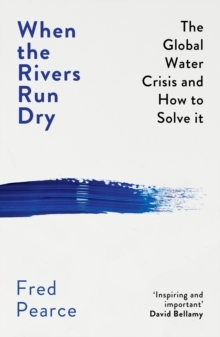 In When the Rivers Run Dry, Fred Pearce explores the growing world water crisis, from Kent to Kenya. His powerful reportage takes us to places where waterways are turning to sand before they reach the ocean; where fields are parched and crops no longer grow; where once fertile ground has turned to desert; where wars are fought over access to water and cultures are dying out. But he offers us hope for the future - if we can radically revolutionise the way we treat water, and take personal responsibility for the water we use. This landmark work, from a respected and accomplished scientist, will transform the way we view the water in our reservoirs and rivers, and change the way we treat the water in our taps.